New! Handmade guitar string bracelets from Nancy Wilson! Fans! Submit your questions to Ann or Nancy Wilson! We have announced 2 new shows this week. 2011 Tour shirt is now $15 for a limited time only - clearance sale! New 2013 Heartmonger shirts are now on sale and in stock. 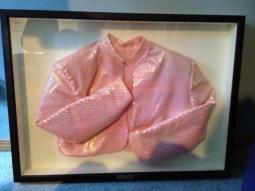 Bid on an extremely rare collectible item from the Heart archives: Nancy Wilson's Jacket from the "There's The Girl" 1988 video! Presales for July 29th at Ravinia in Highland Park, IL and Sept 21 Lincoln CA are Tuesday April 16 10am local time to Wednesday April 17 10pm local time. North American syndicated Rock radio show and website InTheStudio: The Stories Behind History�s Greatest Rock Bands congratulates HEART on the eve of their induction into the Rock�n�Roll Hall of Fame. For just the second time in more than ten years, Heart has had to reschedule a show. Lead singer, Ann Wilson, returned from Heart's Canadian tour with a bad cold that affected her voice. She is expected to recover in time to perform in Henderson Nevada on April 5. Information on the rescheduled Ivins, UT show will be posted on heart-music.com as soon as it becomes available. 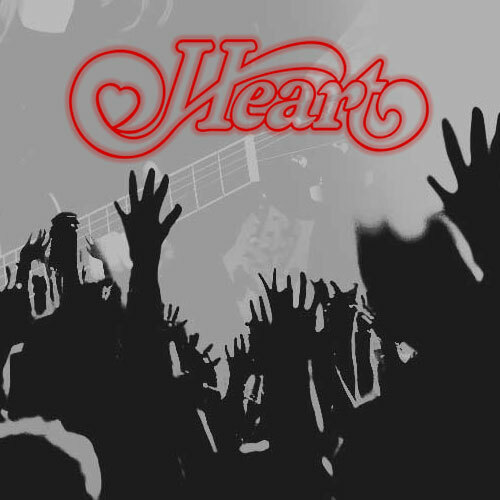 Jammit�, the leading music platform for jamming with original multi-track master recordings, announces its partnership with legendary band, �Heart�. April 18, Heart will be inducted into the Rock and Roll Hall of Fame. Heart Announces the HEARTBREAKER TOUR! Heart will take their critically acclaimed live show on the road this summer with very special guest, Jason Bonham's Led Zeppelin Experience. Heart has new merchandise available and other pieces on sale! "Heart are still totally cool ladies you wanna be friends with"